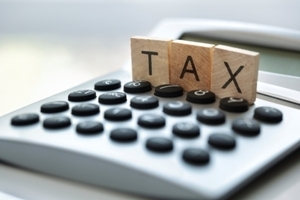 Introduction of a capital gains tax might be closer than ever before but many in the property investment sector have made sure to strongly voice their opposition. D-Day for the Tax Working Group’s final report is looming and a capital gains tax recommendation is expected to be the attention-grabbing centrepiece. It is understood that the Government now has the report, but no dates for when it will be considered by Cabinet – or released publicly – have been announced. That means the waiting game is now on to see what form of capital gains tax has been recommended, along with the details. But submissions to the TWG from many involved in the residential property investment sector make it clear that, whatever its form, a capital gain tax will not be popular and is expected to generate issues. In their submission, the NZ Property Investors Federation says the rental property industry already pays a fair share of tax so increasing property taxes would not be equitable and the burden would mostly fall on tenants. “The introduction of a capital gains tax would not make housing more affordable, but it would make rental property more difficult to provide at a time when we need more of it. Instead the NZPIF suggests that shares could be included in the Bright Line Test and that a share traders compliance unit could be set up within the Inland Revenue Department. APIA vice president Peter Lewis, who says shifting a substantial part of the tax burden on to capital holdings would be controversial, complicated, and carry high compliance costs, also offered up an alternative suggestion. The Property Institute is opposed to new property-related taxes, including land taxes, stamp duty, ring fencing losses, and a more comprehensive capital gains tax. “In general, PINZ does not support the claim that further taxes will make housing more affordable, nor does it subscribe to the view that new taxes will make houses more available," its submission says. Additionally, PINZ says new taxes on capital gains will only make it even harder for entrepreneurs to source the private investment they need for start-ups and expansion. Professional services giant PWC's submission points out that owner-occupied housing would be excluded from a CGT regime, and 64% of households are owner-occupied. This means a significant proportion of New Zealand housing will likely be outside the scope of any potential CGT raising questions as to the coherence and efficiency of the resulting CGT, PWC says. “At a high level, if the overriding policy rationale is that all income, regardless of form (i.e. labour or capital), is to be taxed then a CGT with as few exemptions as possible seems appropriate. The TWG received 6,700 submissions on the reform of New Zealand’s tax system, as well as around 16,000 votes on tax-related non-scientific polls on the group’s website. TWG chair Michael Cullen says the prospect of a capital gains tax topped the chart of important tax issues followed by funding retirement and protecting the environment. However, assuming the TWG does recommend a capital gains tax regime, there’s no guarantee that one will be introduced. That’s because the Government will need to have its coalition partner, NZ First, on board to get the necessary legislation through Parliament and it will then have to fight the next election on it. From talking to a number of people it would seem that there is a wide-spread belief that any CGT would only apply to investment property and nothing else. They are shocked when I point out that it would also apply to seaside baches and to any business that they might sell. Suddenly they no longer support the idea of such a tax.